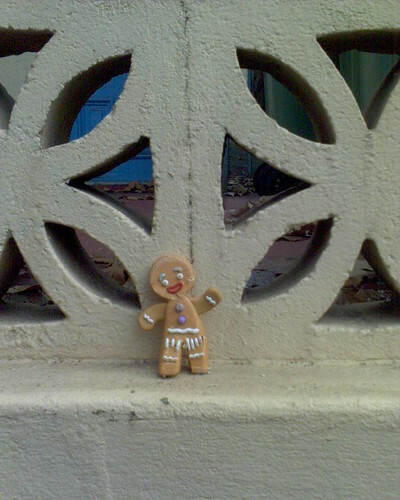 A plastic Ginger Bread Man that is lost and waiting for someone to come find him again. Seen against a fence in Harris St, Ultimo. This entry was posted in Photos and tagged bread, ginger bread man, photo. Bookmark the permalink.